If you're going to transform your business by infusing it with data and analysis, you're going to have to pay attention to what you use and how you use it. Analytical organizations thrive on the free flow of information, but that flow is only as good as the data management principles you apply. Managing Big Data assets requires discipline and structure in order to ensure that a many people can benefit from it, and that different data can commingle safely. In this webcast, Micheline Casey provides an overview of data governance and data management principles that should be applied to big data projects. Ms. Casey is Principal at CDO, LLC, a boutique consultancy supporting the development of large-scale enterprise information management, data governance, and data security strategic plans and implementation efforts. CDO, LLC helps both private and public sector organizations create customer-centric approaches to information and service delivery; improve information accessibility; streamline and link cross-departmental business processes; reduce information fragmentation; maximize the return on funding investments in information architecture and application development; produce accurate and actionable business intelligence and performance metrics; and, improve risk management and cyber security postures. Ms. Casey also authors the dataTrending blog, at www.dataTrending.wordpress.com. Prior to CDO, LLC, Ms. Casey was the first state Chief Data Officer in the country, and part of the Governor's Office in the State of Colorado. Ms. Casey was responsible for developing and executing the State of Colorado's enterprise data strategy and data governance and data management frameworks across the State's Executive Branch agencies. She coordinated legislative and policy actions as necessary for this strategic effort, and helped architect a groundbreaking series of laws between 2008 and 2010 to further the State's information sharing agenda. Ms. Casey was appointed to the Governor's Early Childhood Leadership Commission and Behavioral Health Transformation Council to forward the state's agenda for creating unified, interagency data systems. The State also worked closely with U.S. DOJ's Office of Juvenile Justice and Delinquency Prevention (OJJDP) to develop the Youth and Family domain of the National Information Exchange Model (NIEM). Ms. Casey's emphasis is on large scale, enterprise-wide, policy rich projects, and she brings strengths in business strategy, data management, data governance, and data security. Her work has been profiled in publications such as Public CIO magazine, and she was recently named on the 2011 Top 25 Information Managers list by Information Management magazine. She has almost 20 years experience in the technology industry, working in strategy, marketing, and business development roles. 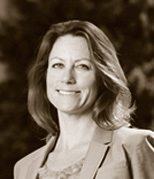 Ms. Casey earned her M.B.A from the University of Georgia's Terry School of Business and a B.S. in Marketing from the Pennsylvania State University.